We have previously shown that the gonadal and neurosteroid, 3α-hydroxy-4-pregnen-20-one (3αHP), can selectively suppress gonadotrophin-releasing hormone (GnRH) induced follicle-stimulating hormone (FSH) release from static cultures of anterior pituitary cells during a 4-h incubation period. The actions appeared to be at the level of the gonadotroph membrane and the cell signaling pathway involving Ca2+ and protein kinase C (PKC). In order to investigate further if the effects of 3αHP on FSH release are generated by nongenomic mechanisms, we monitored the short-term effects of 3αHP using dispersed anterior pituitary cells in a low dead-volume perifusion system with short (≤5 min) exposures to the steroid. Pulses of GnRH (10−8 or 10−7 M) lasting 2–5 min resulted in marked peaks of FSH release, and the variation in FSH amounts released from the cells in a particular column were minimal if the interval between successive GnRH pulses was at least 3–4 h. A 5-min pulse of 3αHP (10−9 M) administered simultaneously with the GnRH pulse suppressed GnRH-induced FSH release. On the other hand, similar treatment with the stereoisomer 3β-hydroxy-4-pregnen-20-one (3βHP), had no effect, but progesterone and estradiol pulses augmented the GnRH-induced FSH release. Pretreatment of cells with a 5-min pulse of 3αHP, at 120, 60, or 30 min prior to a GnRH pulse suppressed the GnRH-induced FSH release. The suppression of GnRH-induced FSH release by 3αHP was only partial if the start of the 3αHP pulse occurred 0.5 or 1.0 min after the start of the GnRH pulse, and no suppression occurred if the start of the 3αHP pulse was delayed by 2–5 min. The FSH release elicited by 5-min pulses of the Ca2+ ionophore A23187, the Ca2+ agonist BAYK8644, the PKC activator phorbol 12-myristate 13-acetate (PMA), or phospholipase C (PLC) was suppressed by simultaneous pulses of 3αHP. 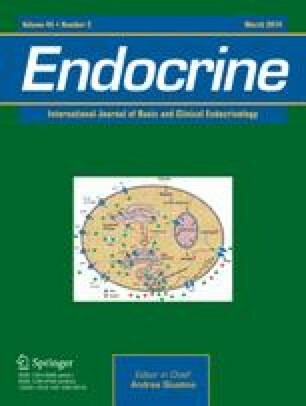 The suppression of FSH release by 3αHP appeared to bestereospecific, since no suppression was observed with 5α-pregnane-3,20-dione (5αP) or 3α-hydroxy-5α-pregnan-20-one (5αP3α). In separate experiments, cells were treated with pulses of BSA conjugates of 3αHP, 3βHP, or progesterone; the 3αHP-BSA, but not the 3βHP-BSA or the progesterone-BSA, suppressed the GnRH-induced release of FSH. The results of this study provide the first evidence that 3αHP exerts immediate (nongenomic) and direct effects on GnRH-induced FSH release by interacting at the level of the pituitary gonadotroph membrane and the phosphoinositol cell signaling cascade involving Ca2+.